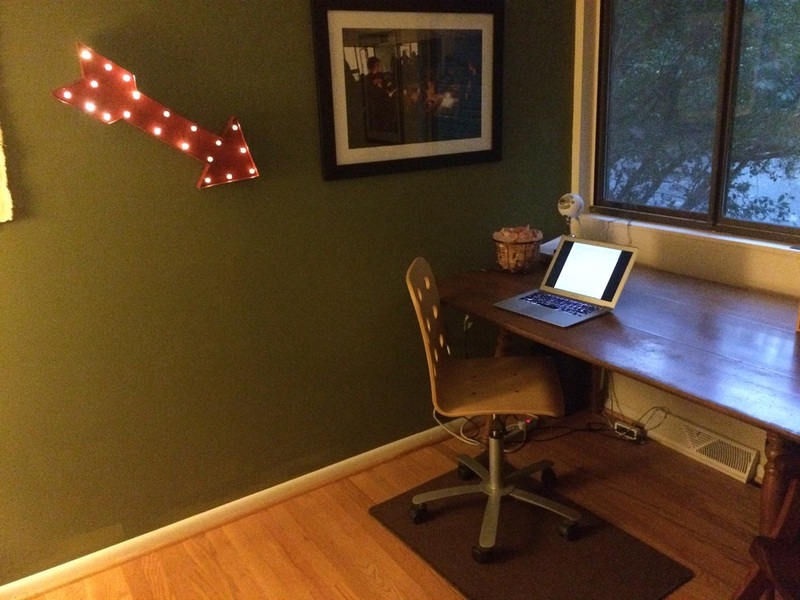 In an effort to break my habit of doing my writing on an uncomfortable kitchen stool located eight feet from the distractions of the refrigerator, I've been fixing up the office. I thought this addition to the decor helped create the sense of imperative I was looking for. The only way I've figured out how to be a writer was to, you know, sit down and write. Not just when inspiration storms your mind. There are many days spent in the middle bit where people are talking and you're spooling out some plot points and trying to imagine and describe a room you've never seen and where the characters will never go again, and it all seems so slow and ponderous because soon, oh yes soon, things are going to go bananas and you're anticipating those scenes so much it's killing you. Those are the days when you turn on the arrow.